As I feel the energies of the South warming the earth so the grass can grow green once again, and the flowers can bloom. I am reminded of the cyclical nature of our existence. The seasons go round and round, we have day and night day and night; birth and death. At the same time my spirit feels a deep sense of stillness, consistency, security, timelessness as everything changes around us in this circular pattern. All sense of urgency disappears, fear diminishes. Nature brings us this deep sense of security. We are as perennial as the grass, our spirit never dies, just changes form. This is the message at Easter and Christ was the proof. We are divine beings. Endowed with divine attributes from our creator. After a long winter we rejoice in the new energy of Spring, everything coming to life again. With this energy comes new opportunities, new growth, rebirth, abundance, sustenance, joy! The energy is just as joyous as the year before, again and again, ancient and powerful, bringing us blessings, reminding us we are eternal beings. Most recently I was given the opportunity to donate to a non-profit fund of my choice. I thought about this, I know that there are many good causes out there that I will support someday. My decision was weighed; in the past I didn’t think twice about choosing an organization to give to. I have had different experiences that brought to my attention that most non-profit organizations have a wealth of money that they invest and can sustain themselves and receive heavily from businesses. If I am going to give, I first look at my home situation, the members of my family, my children and grandchildren, what could help them, are they all set. Then I would move out to my extended family is there something that someone needs help with, are they in a difficult place. People think nothing of giving to these charities, but when it come to people in their own family, they can’t lift a finger, in fact, it never even occurs to them to think in this way. They have so many psychological issues and reasons why they can’t help. Do you think the people that charities are giving your money to are perfect? When you find yourself feeling this way, ask why you feel this way, and are your thoughts grounded in truths, or are they projections of your own condition, something from your past maybe? This can be an opportunity for healing hearts. Many businesses now have a fund that people donate to, even though it is not tax deductible, to help co-workers though difficult times, through life changes, illness, or loss. Charity begins at home. It is the middle class that needs the help quite often. It is not for us to judge others in these times of need, it is just for us to help one another. Their are many for profit businesses that, though they are not tax deductible, supporting their cause is a worthy goal to bring about much needed change in the world. That part of yourself that owns all your darkness, the decisions you make that cause you to spiral downward. A shift in perception that causes you to shift out of love and slide down somewhere close to the other end of the pole. Losing balance. This is where you act out of character, embarrassing, disgusting, hurtful, hateful, and when its all said and done you cant believe you did all that, so you disown it. You give it to someone else, they are the cause of it all. You can only see this behavior in others not in yourself, as you detach from this, they become the one who actually did this. This is projection. Sometimes this part of yourself may fragment and be out there waiting for like energy to attach to. Someone acts out in a terrible way and boom, they have collected this dark energy, it attaches to them. They now have this horrible energy presence they can’t deal with, to help them in their downward Spiral. How does one clear this. My practice teaches this, how to care for the soul and spirit. It empowers people by educating them on matters of the soul. Not everyone has a shadow self. Some have healed this and clear it as they live their life. Where did this term come from, the Shadow Self? It is a Jungian term. The opposite end of the spectrum is the grace. The opposite loving behavior that is achieved when we overcome our shadow or heal our emotions by owning the wrong that we did. Just recently I purchased a cubicle shelf system, the kind with the separate bins you can pull out. I pulled it out of the box to assemble and was immediately aware of the warning sticker placed on the boarding. Formaldehyde, banned in the state of California, known to cause Lung Cancer. Immediately I remembered my friend, pieces of information all came together. It was Summer several years ago, I stopped at her house. I hadn’t seen her in months. She didn’t come to the door. A couple weeks later I stopped again, I had lost her number. She came to the door. She was so sick she couldn’t hardly talk, she invited me in. I wanted to know if I could help her in someway. She explained, she had her kitchen remodeled a little while ago, and she become very ill. The materials from the new cabinets were degassing, she was sick ever since they were put in. Within two months she passed. She had Lung Cancer. She was very health conscious all her life. Now I realized, as I quickly packed up the box to return to the store, It must have been Formaldehyde from the cabinets. It didn’t take long, a matter of months, thought she had the flu at first. I do miss her, I was so sad to see her this way. Sending love her way and blessings. Please be aware of this when remodeling and looking at furniture. I found out I could make the shelf out of real wood, for less than I paid for this unit. I think of the people who work in stores where this is sold. Its banned in California. Are they aware?? Please share this. Another major karma clearing event; they happen quickly now. Something disturbing passed before me for a little bit of time than the exact opposite happened that truly amazed me! Something truly wonderful that clears the past makes me laugh and fills me with joy and appreciation. I feel light as a feather! Than a major cleaning event followed. 5 days cleaning and organizing cabinets, drawers, files, closets, clothes, papers, magazines, books, washing blankets, floors, rugs, rearranging furniture, changing paintings, all done. NEW ENERGY RUSHES IN! What is The Best Thing One Human Being Can Do? That would be a huge contribution to humanity and have the biggest impact on those around them for generations to come; it can also go backwards in time and undo the past. My answer is to work on self healing, body mind and soul; every day process your life. Do you know how many people are affected by your behavior, actions, and words? Do you know how much power you have to heal yourself. Does your spiritual practice empower you for self healing? Does it connect you to higher consciousness and Divine guidance… for inspiration, intuition, foresight and insight? Does your daily spiritual practice nourish body, mind and soul? Is it integrated easily and joyfully into your daily ritual? I am a continued work in progress. I was doing my guided light meditation this morning, later than usual, just rolling along with my morning; I was pulling the light into the center of my head, the sun rose just to the right place and suddenly was shining through the window right on my head. As I gradually channeled the light down through the inside of my body, the sun moved across the window ever so slowly with me and stayed on me throughout my meditation. Later in the day I showed up at my son’s house for a random visit while on the way to run an errand, I thought my granddaughter might come with me, the phone rang right after I stepped through the door, it was my other son. He needed help moving a dock, so I was there in time to take my granddaughter out for a bit. I believe my angels are with me!!! JEALOUSY IS THE SHADOW OF THE THIRD EYE CHAKRA, THAT IS WHERE I PLACE IT. IT REIGNS AMONG SPIRITUAL PEOPLE WHO HAVE NOT RESOLVED THEIR EGO. PLEASE BE AWARE OF THIS IF YOU ENCOUNTER SOMEONE DEALING WITH THIS SHADOW. SAY A PRAYER THAT THEY FIND RESOLUTION AND HEALING. LET THE ROOT OF THE PROBLEM BECOME PRESENT TO THEM SO THEY MAY RESOLVE AND RESTORE THEIR RELATIONSHIPS AND KEEP THEIR SPIRITUAL BALANCE. WE ASK ALSO THAT JUSTICE AND RIGHTEOUSNESS BE WITH ALL INVOLVED. JEALOUS PEOPLE CAN BE MOVED INTO A DOWNWARD SPIRAL BY THEIR ACTIONS. I wanted to clarify the message that I got last week, I received more on this today. The Light that is to appear or will suddenly become visible to us; we can look upon it, though brilliant. There are many colors in this Light, it will emanate love. It will be very visible with the naked eye, a huge light show that will stop you in your tracks, it will change your life. This light is not the sun. People are making choices now; think carefully about this choice, there is a division happening, people are falling by the wayside. The gap is getting bigger between light and dark forces, we are feeling this as energy rifts, or backlash currents of energy. You are being called to heal your body to stop polluting your body and your life by the ethical choices you make, how you treat others, kindness, honesty. How much do you love yourself. Those that heed the call are being empowered. This will prepare you for the light, by letting your body heal, detox you are capable of holding more energy. You will be able to hold this love light energy. Start detoxing. Look up Bentonite Clay detox, read about it, good for smokers. Follow your divine guidance for a detox. Do something today to start healing your body and your life. Quit Smoking today. Casual drinking in moderation. Start loving your body. I WAS CALLING THE ANGELS DURING MY MORNING PRAYERS FOR THE WORLD. FACING THE WEST AS I DO CALLING ARCHANGEL RAEFIEL. I OFTEN DESCRIBE THE ANGELS AS DIAMONDS OF LIGHT SURROUNDING THE WORLD LIKE SACRED GEOMETRY. I BEGAN TO FEEL PINS AND NEEDLES FROM HEAD TO TOE. THE MESSAGE I WAS BEING GIVEN. THERE WILL BE A LIGHT SO BEAUTIFUL IN THE HEAVENS THAT IS OTHER WORLDLY. ALL THOSE THAT SEE THIS LIGHT WILL BE HEALED, THEY WILL SHIFT INTO ANOTHER STATE OF BEING. THE LIGHT IS COLORED SO BEAUTIFUL, IT HEALS INSTANTLY, IT IS PURE LOVE. WORDS FALL SHORT TO DESCRIBE THIS LOVING PRESENCE IN THE LIGHT. THIS WILL SHIFT MANY PEOPLE. IN 2009-2010 A MAJOR SHIFT HAPPENED WITH MANY PEOPLE. THAT IS WHEN I SHIFTED. IT WILL HAPPEN DIFFERENTLY THIS TIME. "Art Therapy for the Mystic Soul" Artist shares her awaking story that starts with an archetypal self portrait; a Jungian Individuation story. A lecture, art show and Art Workshop, no art experience needed. A guided meditation for healing, clearing and balancing the root chakra. The soul communicates, symbolically, metaphorically, and sometimes very humorously. There are no words to describe the healing that can take place. Bring a bag lunch for the evening meal, drinks provided. $65.00 to preregister by October 14th 2018. This counts for two sessions of the 8 session Chakra Flower Workshop series and introduces my book. "Art Therapy for the Mystic Soul" An interfaith practice for whole body healing. Good for private practice professional use or personal self empowerment ask for the limitations of use rules. I experienced recently a child reciting a chant, a game among children, much like, "Ring Around the Roses." the words were very negative, about bad things in the world and they were to sing this song while they tapped on the back of another child, part of it was innocent part of it was not. It was tapping negative energy of bad things to happen to them and programming into the child. Please pay attention to what your children sing among other children. The words of songs. As we know tapping is a way to release negative behavior and tap in positive affirmations. The body holds energetic vibration from the words we say. AN ART WORKSHOP SERIES CENTERED IN LOVE FOR SELF EMPOWERMENT, SELF HEALING AND MAINTENANCE; WHOLE BODY HEALING. THIS IS AN INTERFAITH PRACTICE THAT INSPIRES CREATIVITY IN PRAYER, AND RESTORES HEALTH TO THE BODY WHILE CONTINUALLY EVOLVING THE SOUL. ESOTERIC TEACHINGS FROM BUDDHISM, HINDUISM, SHAMANISM, AND JUDEO CHRISTIAN KABBALAH ARE ELOQUENTLY WOVEN TOGETHER. IN AN EASY TO USE DAILY PRACTICE WITH VERY CONCISE TRUTHS AND TEACHINGS TO AWAKEN YOUR HIGHER CONSCIOUSNESS AND THE BODIES INNATE ABILITY TO HEAL ITSELF. IT ACCELERATES YOUR LIGHT ENERGY. FOR PERSONAL USE AND LIMITED PROFESSIONAL USE,( ONE ON ONE) FOR SELF HEALING AND SELF EMPOWERMENT. TO ACCESS WISDOM TO MAKE THE BEST DECISIONS IN THEIR PERSONAL LIVES & BUSINESS DEALINGS, TO ADVISE OTHERS SUCCESSFULLY. Please note dates have been changed my apologies for any inconveinance! THE SEA CAPTAIN Water-Soluble oil on board 2018 When painting this I discovered an image of a Sea Captain in the rocks. I feel it is the presence of one lost at Sea. We will be tapping into the Shinto and Shamanic way of perceiving and feeling energy. We will begin by Centering ourselves in our heart. Allowing the beauty of nature To present itself to us. call Catherine 207-205-8165 between 5 & 8pm to Register before April 28th. Fee 30.00 per 3 hour session covers all materials. 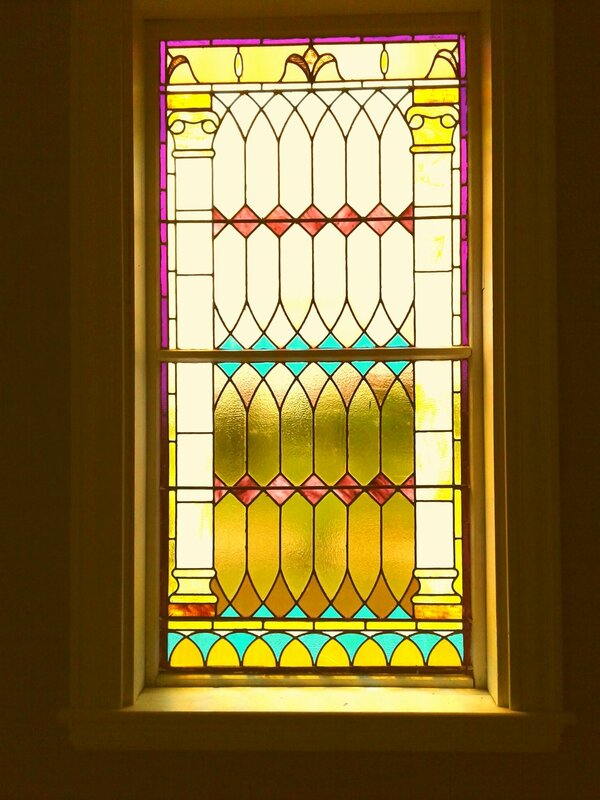 By signing up you Support the Oak Grove Chapel Preservation Fund. May pay by the session. Interactive Art Show & Workshop "Messages From the Soul"
www.Mysticsoul.org/art-show/ Join us March 31st for an all day event! ART SHOW & WORKSHOP see ART SHOW tab to register for this event! "Art Therapy for the Mystic Soul" A Guided Meditation into your chakras for clearing, balancing, and healing. Cleaning things up! "Housework"
Chakras are doorways to your soul . The soul communicates symbolically, metaphorically, and sometimes very literally and humorously! You may receive a message from your soul that changes your life or brings deep healing. If you have suffered severe trauma in your past, you should work with your therapist while processing the Art Therapy meditations. Scene 4 Root Chakra Journey "A Message from my Soul"
"Art Therapy for the Mystic Soul" guided meditations. The Interfaith Practice for healing body, mind and soul. www.mysticsoul.org Books, Self Empowering Art Workshops, Art shows, presentations, Meditation Groups. One on one healing sessions using art, spiritual guidance, & empowering support. Portland or Vassalboro Maine location. What does it mean to awaken the light body? The Luminous metaphysical body is our spirit body permeating and surrounding our physical body. This is also known as your energetic body. It is in layers, coordinating with each chakra. Colored light permeates and surrounds you. After a time of this spiritual practice, healing and clearing the chakras; karma clearing and being centered in love, you will awaken the triple flames of the Trinity. The red, yellow and blue flames of the Divine centered in your heart. As your heart awakens, a beautiful magenta red pink luminous light will slowly saturate your being, wrapping you in divine love. With golden kundalini energy flowing up your spine, infiltrating the colors. The Magenta light heals the body. During the guided light meditation in this series, you control and imagine what you are seeing. When your light body awakens it all happens automatically the color and light is there for you to see, there is no effort to make it happen. You see it in your minds eye. Energy follows thought, as you think so shall you be.